BuyOnTheDip.com ~ Trading Stocks and Options! 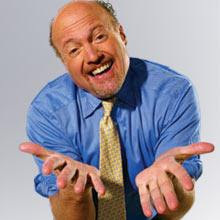 : CRAMER's 1,000 point DIP THEORY!?! Yesterday when we broke our target of 12,700 we posted "we're not convinced" ...then at 12,500ish on the 300point plus dip ... we posted "still going lower....new target 12,000....the world is over....you could sell everything today .... then buy back lower next week or even next month" ....and when it rebounded and went green for the day, we got even more worried..."Don't believe the "green" hype....sure its nice to come back from 300pts down...but we need to "end" lower...today was a tease, a test, a glimpse of whats to come." BE RIGHT & LOSE MONEY ....or....BE WRONG & MAKE MONEY ? p.s. but don't forget one of our favorites ... "opportunity cost" ... had we had the 1,000 dip it would have been quite the buying opportunity ... eh? p.s.s. yes, we just said ... "had we had"
IMHO, the Financials are in the first couple of innings of this decline. To talk about looking to buy now is much too premature. In fact, I can't believe a man as smart as Buffett is doing serious buying of the banks here. Ben Stein talks about this perhaps being the buying opportunity of a lifetime and that Merrill Lynch is being given away. Please! He really sounds like a greenhorn on this. This is going to get much, much uglier. I would imagine the Financial Select Sector Spider (XLF) could drop by another 50% from here after many of these brokers and banks earnings simply evaporate. Many were similarly making the argument a couple of years ago the homebuilders were cheap due to their low PEs. Buying stocks in cyclical industries when earnings are peaking or have recently peaked is a very bad idea. Have you ever experienced a cell phone running out of power just at the critical time when you need it? Would you not love a cell phone that runs 6 months straight without needing recharge? Or a laptop computer that works a month at a time? You will LOVE it! The technology is finally here! They spent billions of dollars on this thing for years and it's finally ready for mass marketing later this year. It's called DMFC, Direct Methane Fuel Cell. Fuel cells, like DMFC, MUST utilize precious metals palladium and platinum. Supply of PGM is very limited. The whole world produces only 7 million ounces of palladium per year, and consumes more even without fuel cell. There will be a huge shortage, driving the price of PGM metals, especially palladium, to the stratosphere!!!! That brings a huge opportunity buying the SWC stock, near 52 week low now. SWC is the one of the only few PGM metal producers in the world, the ONLY one in the USA. The stock is cheap because it has NOT been making money yet. But with huge demand of PGM kicking in as DMFC goes to mass market soon, you bet you can make money in SWC beyond your wildest dream!!! SWC has a price/sales ratio as low as 1.2. What kind of P/E will it have if PGM metal price just increase 4 or 5 times? Click on my name to read more on my blog.